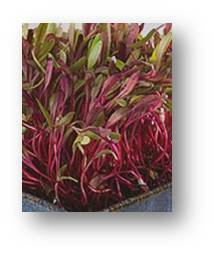 Nutritious sprouts that give a wonderful color to the salad and taste a bit of beetroot. These seeds are easy to sprout and can be enjoyed after 3-6 days. Redwoods are very beautiful to sprinkle over the food. It’s easy to impress the guests by decorating the appetizer with red-beetroot vegetables.